Home/News/How to pick fruit juice correctly? Fruit juice is a beverage product made from fresh or frozen fruits. It can be divided into original juice, concentrated juice, original fruit pulp, fruit juice, fruit flesh juice, high sugar juice, fruit pellet juice and so on. The original juice is also called 100% fruit juice, which is made of fresh fruit. Concentrated juice is concentrated on the basis of the original juice, which is made by removing the original moisture. Original fruit pulp is usually used as a raw material for the processing of beverages. The juice drinks are all marked on the bottle. At present, there are roughly four kinds of concentration of fruit juice in the market, which are 10%, 30%, 50% and 100% respectively, and most of them are 10%. The value of it as a “juice” can be imagined. In some countries that are relatively mature in fruit juice industry, only more than 30% is allowed to use the name of “juice drink”. The fruit juices made from the fruits of good origin are much better than the ordinary ones. If the fruit comes from a good place of origin, the general manufacturer is willing to express it on the bottle. Consumers can keep an eye on it. 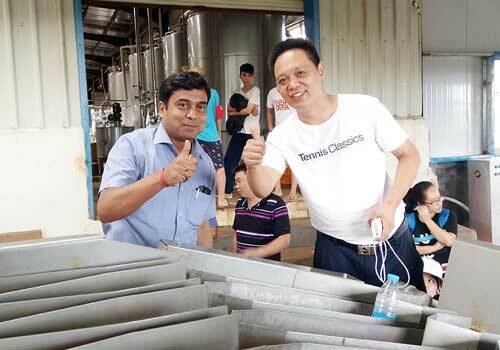 The precipitated fruit juice shows that the manufacturer preserves the cellulose in the fruit, and the cellulose is very beneficial to the human body. Therefore, the precipitated juice is generally more suitable for the human body than the non precipitated juice, and needs “shake it before drinking”. Some of the fruit juices in the supermarket are bright colored, well permeable, good looking. Others appear to be opaque, mellow and even dim. The freshly produced fruit juices are brightly colored, but it is not necessarily a good juice to keep a bright colored juice for a long time. The fruit juice that looks dim on the shelf is a good juice! The ingredients are marked on the juice bottles. At this time, the consumer will have to look at the ingredients carefully. The common harmful or controversial ingredients in juice drinks include preservatives, color protection agents, and some sodium acid and so on. You can determine the consistency of the beverage and its name according to the content of the original juice marked on the label. Look at the phenomenon of leakage and flatulence in the packing. The specific method is that bottled or canned beverage bottle mouth and bottle body have no sugar and dirt, and soft packing drink has no deformation and protruding. Look at the appearance of fruit juice. Transparent drink without flesh should be clear, transparent and free of any floater and sediment. No pulp and opaque drink should be uniform, unstratified and free of any sediment. A pulp beverage that shows irregular fine flesh and allows for precipitation. 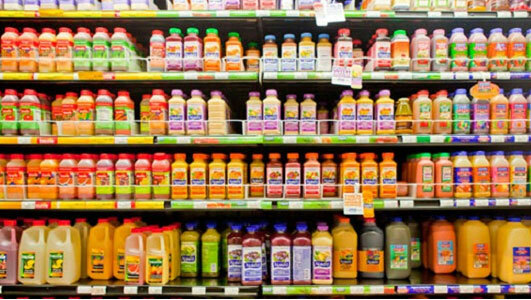 Juice drinks are easily contaminated by bacteria, causing a worse taste. In order to prolong its shelf life, preservatives, such as sorbic acid (potassium) or benzoic acid (sodium), should be added in the process of production. Consumers should not be mistaken for organic acids, sodium salts or potash salts. Sugar, edible pigment, spices and preservatives will be added in the process of fruit juice production. Therefore, it can not be used in daily life instead of fruit and water. Drinking a large number of these drinks can cause obesity by inhibiting appetite or excessive sugar intake.